Learn about CollaborateMD medical billing software for businesses. Includes info on CollaborateMD, free trials, pricing, customer reviews, and FAQs. 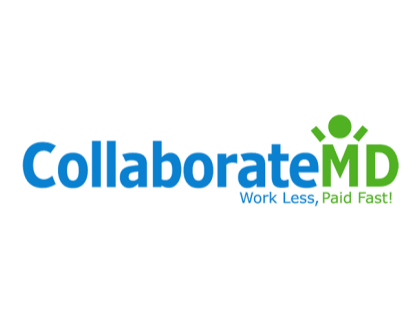 CollaborateMD is a medical billing and practice management software created for medical practices of all sizes. With this software, users can easily automate and streamline billing processes. Features include notifications, appointment scheduling, and claim editing. Pros: Easy to use software with valuable features. The dashboard provides all the key information including finances and scheduling. Cons: Customer service can be hard to communicate with. The software is more suited as a billing system. Other features need improvements. Bottomline: CollaborateMD is a user-friendly solution that offers powerful billing features. The software makes it easy to manage the billing process. What is CollaborateMD's price range? Depending on the number of claims, CollaborateMD plans range from $0.13 to $0.28 per claim. Is there a CollaborateMD free trial? No, CollaborateMD does not offer a free trial. However, interested users can contact CollaborateMD and request a free demo version. To access the demo version, go to collaboratemd.com and click 'Try it for free' in the top left corner of the homepage. What are some CollaborateMD alternatives? Where can I find the CollaborateMD login? Go to collaboratemd.com and click "User Login" in the top menu of the homepage, or sign in directly at https://portal.collaboratemd.com/. I have been using CMD for a very long time. The program far exceeds my expectations. One thing that sets them apart is they do listen to their users and always listen to our suggestions. If they feel it will help many users they do their best to implement those changes. Worst customer service I've ever encountered short hours untrained staff incomplete email instructions. Make sure you have 4 to 5 months of cash on hand you'll need it! CollaborateMD is fantastic! Even I was able to understand and use it quickly with the help of my great trainer. If accepting that all Practice Management is clunky and over-engineered, this ranks toward the top. They are not also EHR - they focus on billing. However, this means you have to have a partner EHR.